Cajun RedTM color disappears in as little as three feet of water. Low memory for better cast control. Extra limp formula for smooth, long distance casts. Maximum knot and line strength. Perfect for freshwater fishing with all types of reels. 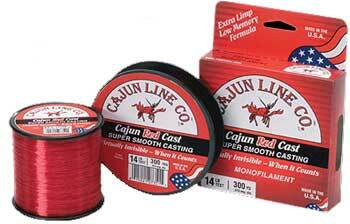 Available in variety of line weights and two spool sizes.